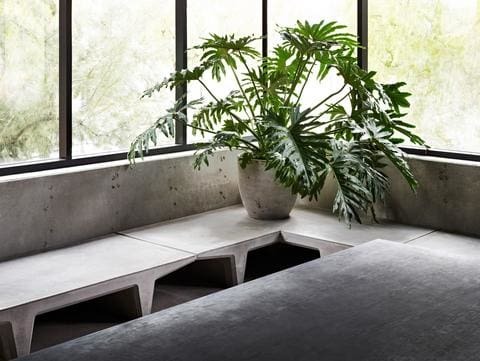 Kanye West's new Yeezy design studio opened in June with a minnimalist contemporary look featuring concrete effect walls, floor and furniture. This minimalist look is proving very popular in 2018 as we can hardly keep our Concrete Art product on the shelves. Concrete Art is a faux concrete acrylic plaster that makes it easy to achieve the concrete look over the top of standard walls such as drywall, or previously painted walls. Concrete Art can also be applied on outside walls in any environment.